They gave us a free copy of the CD! I have a theory. I think that the dudes from Recess Monkey read our blog and possibly spy on us. 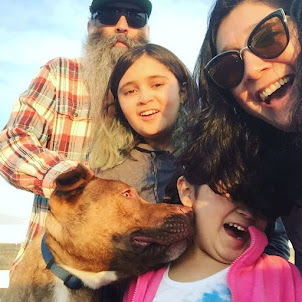 How else did they write an album that just speaks to exactly what my kids are going through? I mean there is even talk about dance parties!! 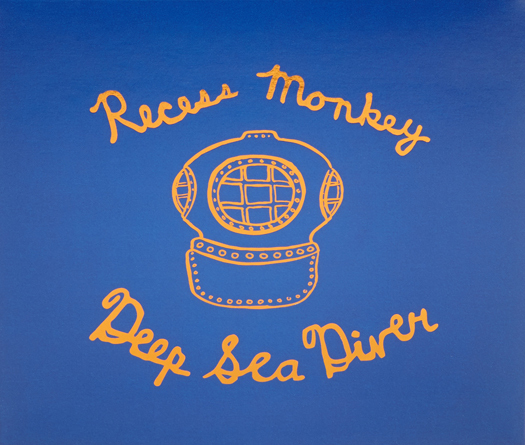 Just in time for summer fun, Recess Monkey has released a brand-new ocean themed album. We were huge fans of their "In Tents" album so we were so excited to get our paws on a copy of the new "Deep Sea Diver" album. It did the complete opposite of disappoint us. As we rocked out to it we keep saying "Oh man, that is just like you!" or "Wow Louie this song was made for you!". I mean there is a song about temporary tattoos! 1. The Deep End- The Phi has always been a bit chicken when it comes to swimming. She just couldn't get over her fear. Until a few weeks ago. She has finally conquered her fear and is swimming, even in "The Deep End"! They sang about every excuse The Phi has ever used and the sweet calypso beat will make you want to conga line around the pool! 2. Shrimp- Recently we took the girls for check up and when they should me Louie's growth chart we were told that she was in the 3% for height. That is medicine telling us Louie is short. We get it all the time. This song is all about some of the issues with being so short. Louie has lived them all. Even having issues with a slip and slide. Of course the Recess Monkey's also give short people something to smile about by listing some things that are easier for them. I mean it's true, Louie's shirts do get buttoned in record speed! 3. Compass Rose- I cannot use a map to save my life. They just really confuse me and usually make me even more lost than I already was. But my kids? They LOVE maps, just like their Poppa. They collect maps from amusement park and National Geographic magazine and I will find them months later studying the maps. This sweet song about a sister who loves maps fits both my girls, and Poppa too! These are just 3 songs out of 15 that are a perfect background for a sunny summer day of outside fun. You can check out some fun video for some of the songs on this album and so more more on the Recess Monkey's site.